The Noël Coward Music Index researched and written by the late Alan Farley and Dominic Vlasto is is now a distinct website with search facilities. If you want to find out more about the music, songs and lyrics of Noël Coward then browse the index and its appendices. For those looking for a particular piece then the best starting point is the alphalist where all Coward's known music, songs, and lyrics are listed by title. The link for this and other parts of the index are shown above and in the left hand Menu. All known musical titles by Noël Coward, including music without lyrics are listed here alphabetically. All of the information provided on the site is linked to individual Song Titles - a generic term for any lyric, song or piece of musical composition, or fragment of same, by Noël Coward. We include guidance on obtaining music and recordings of the works listed here - where they are available - or listing the source of the material where it may be possible to view it. 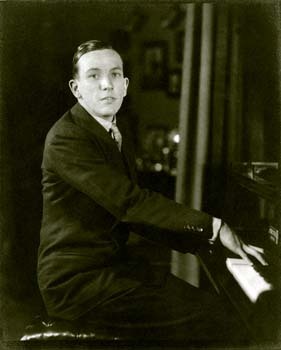 We now provide links to extant recordings of Noël Coward's songs and music where they are available on the online music stores Amazon.co.uk (UK) and Amazon.com (US) and iTunes. Historic recordings can be found on online stores that specialise in used recordings or on eBay (UK) and eBay (US). 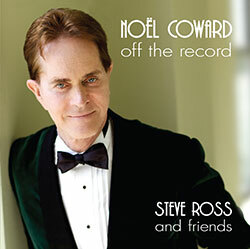 22 never-before recorded Coward songs performed by Steve Ross, Jeanne Lehman, Lisa Riegel, and Edward Hibbert, with stories of songs told by Steve. Its hard to believe these great songs were never before recorded. Ms. Farr was a participant in the 2012 Noël Coward Competition and was the winner of The Julie Wilson Award at the annual Cabaret Convention in October 2012. Her new CD includes selections by Noël Coward. 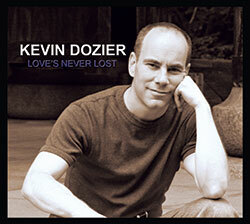 Mr. Dozier was a participant in the first Coward Competition in 2010. He entertained at the annual Noël Coward Society luncheon in 2010. 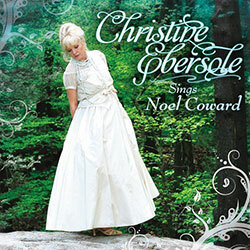 He has often sung Coward in his performances and includes a selection in his newest CD. Barry Day has produced a recording of Coward’s verse read by Coward, his contemporaries and current actors and performers. The CD is being sold in aid of The Combined Theatrical Charities and sells in the UK at £7.99 or in the US $15 p&p included. If you would like a copy please contact Stephen Greenman in the UK and Ken Starrett in the US. All proceeds go to The Combined Theatrical Charities. First Use (usually named show in italics) (sung by named performer(s) in brackets. Selected discography listed by date order (refs)Noël Coward is always NC. Names of other people, once mentioned in a specific entry, are thereafter abbreviated to their initials. sep.publ. item printed as separate sheet music. Other abbreviations, including those for Show Titles, are used throughout this section of the index for the sake of brevity. A fuller list of productions can be found here! These appendices explain and support the NCMI and its subsidiary tables and information. 1a) Works with lyrics by Noël Coward and music by someone else. 1c) Works surviving as lyrics for which there is no firm evidence of music having been set. 1d) Unpublished and unused fragments or incomplete works (without lyrics). 1e) Misattributed and unattributable performed works. The late Alan Farley was senior producer and presenter for arts programmes with KALW Radio, San Francisco. He spent many years interviewing people who worked with Coward, and amassed an unrivalled collection of commercial and archival recordings in the process of presenting over 150 radio programmes on Coward's music. Dominic Vlasto is as a Cambridge-trained musicologist and performer whose detailed interest in Coward's music was spurred over twenty years ago by working with Coward's own accompanist, Norman Hackforth. He was the musical contributor to 'Look Back in Pleasure', published by Methuen in the wake of the Coward Centenary conference. John Knowles is a consultant in digital design to the Estates of Noël Coward and Terence Rattigan. He also works as a freelance designer working with Alan Brodie Representation and other theatrical concerns. He is currently General Manager of the Noël Coward Society.